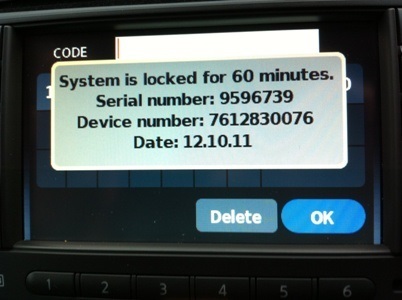 You can unlock the radio in your Nissan Juke, Qashqai, Note or Micra from the serial number, device number and date code found on the Locked Display. Once you have entered an incorect PIN three times the device details will be shown. All Nissan Connect SAT NAV Radio Codes that we supply are the original code stored into the Sat Nav from new. You can only view these details once the system has locked or by entering an incorrect PIN 3 times. Once payment has been received your order will be processed within approximately two hours.